What’s the best tool to use for writing a goal? Is there just one way to write a goal, or are their different techniques? In this episode, Rob and Richard discuss how to select the most appropriate approach making defining your goal easy. How many ways can you write a goal and what methods are best? In our podcast, Rob and Richard discuss the most appropriate approach to make defining your goal easy. When it comes to the best approaches for writing down goals, there are a few elements to consider. In the podcast, Rob and Richard discuss how it all depends on what the goal is about. Among the questions to ask ourselves are: is the goal specific or big picture? Rob explains that SMART is a useful technique if the goal is quantitative and you want to achieve it in a certain amount time. This acronym stands for specific, measurable, achievable, realistic and time related. On the other hand, if the goal is around feelings, a benchmarking technique is a better approach. Richard goes onto examine how aspirational goals are another matter and you can break these down into different parts by using a ‘chunking’ strategy. For example, if the goal is to run your own company before you retire, this can be broken down into chunks so it becomes achievable. Goals set around feelings are more difficult to measure but Rob explains benchmarking can be a useful technique. We can ask ourselves questions about where we are now, where we want to be in the future and look at closing the gap. The pair summarise the discussion by focusing on the approaches they have examined including SMART and benchmarking. They explore how it’s important to be able to describe and measure the goal in some way. This gives us greater clarity as to whether we buy into the goal or not. How does your leadership cocktail taste? We’ve all met leaders who are driven. They have a particular mindset; one of constant improvement, of never wanting to stand still. They are relentless in their quest to deliver. They blend key ingredients to unlock that perfect flavour of performance. When was the last time you tasted the ideal blend of leadership? How did it taste? When it comes to inspiring team to perform, there are some key ingredients and some leaders are driven to find the perfect balance of flavours to inspire their team to achieve their goals. So when you think back to the last time you saw strong leadership, ask yourself what key drivers informed that cocktail. Was it driven by the need to be more productive, maybe increase efficiency, be more innovative and creative? As leaders, we have to find the ideal mix of ingredients to get our teams to perform. What is your ideal ‘taste’? What is the blend you need to achieve your objectives? The test of leadership is to get the ingredients right. To blend those ingredients in perfect measure and most importantly to maintain the right mix to ensure sustainable performance. It is my view that leaders are responsible for blending three (not so secret) ingredients; to provide clarity and purpose for their organisation, to create an environment where their people can and (more importantly), want to perform, and finally, to equip their people with the capability to deliver. This seems to be a complex cocktail. Getting it right will have huge benefits. Get the right blend, and you instantly recognise it and the taste is amazing. What happens when the flavours don’t work? If the mix is slightly off, the imbalance leads to a plethora of issues. Amongst other things; disengagement, missed opportunities and worst of all a dissatisfied end customer. All of which have a cost and, like a dripping tap, will have dripped away before you even realise. People are your greatest asset; they are key to your business achieving its strategic aims. Business invests heavily in kit, inventory and machinery, they protect it, service and maintain it. They look after it to best optimise it. Do you approach your people in the same way? Do you invest in them the way you do your systems and machinery? After all, they are the ones who can make or break a process, optimise a machine and delight your customers. A major bank I worked with embarked on a development programme to get their ‘mix’ right. They involved the people and outlined the aims of the programme. They created an environment where their people could own a challenge of their choosing. They could approach it in any way they chose. Before they started, they equipped their people with tools to help them. The impact was huge. The bank found that their people picked things that bothered them the most, they challenged assumptions and broke down cross-functional barriers. They reduced call wait times by two-thirds. They saw 30% reduction in calls into their contact centre by increasing the quality of customer communication and through challenging their processes they reduced operating costs by 25%. Their single biggest win was to challenge the perception that the IT team were too busy and together they fixed a long-standing technical issue that released capacity they valued at nearly £4m. They achieved a perfect blend for them. People had clarity and were invited to take the challenge. They understood how they could make an impact and received development with the tools and an environment in which they could perform. And, perform they did, beyond the expectations of anyone! How clear are you about what you want and what is compelling about it that your people should come with you on your journey? What environment do you have, is it conducive to delivering your strategy? How effective are you at optimising the capability of your people, with tools, systems and process? 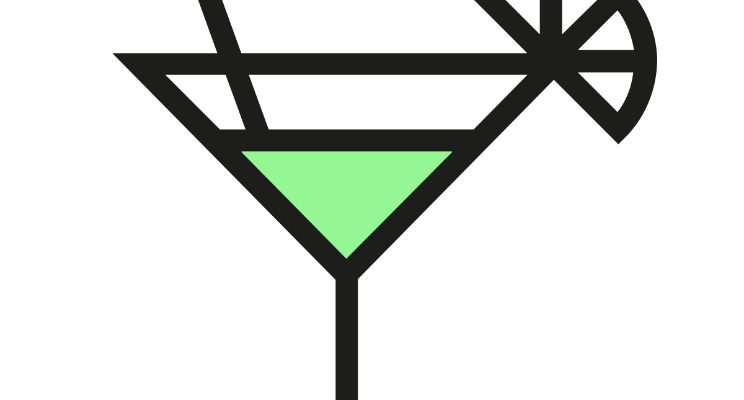 What impact would the perfect cocktail have on your business or team? We believe that individuals, teams and business units underperform. Not because they want to, not because they intend to, but because they can’t get out of their own way. This may not be down to them; it could be the culture or work environment. Our experiences shape our mindset and work habits, often causing people to get stuck. We create mindsets that unlock productivity and realise potential. Why can’t goal writing be easy? Goal writing sometimes seems like a mystic art form, limited to a very few highly trained experts. Are goals really that difficult? Richard and Paul discuss how to make goal writing really simple. Goal writing sometimes feels like a complex task that requires specific training to get right. In our podcast, Richard and Paul discuss how to make goal writing really simple. There are times in the workplace when we’re asked to focus on writing down goals but for many of us it’s not always a straightforward process. In the podcast, Richard and Paul talk about how we may never have been shown how to put goals to paper before starting work. Sometimes people talk about goals as though there is a magical way of writing them but in reality, if you have a decent structure, the entire process can be simplified. The easiest way to begin is to set out what you are trying to achieve. Crucially pick a date and then focus on the positive ‘I will have.’ Richard and Paul explore how there can be a nervousness around choosing a specific date but once we commit it allows us to start focusing and really working on the goal. They go onto examine how many of us play it safe when it comes to writing down goals keeping them vague. But goals need to be sharp: we need ‘picture, perfect, clarity’ and a real point of time in the future by which the goal will be achieved. Sometimes if we feel unsure about a written down goal, it’s because we haven’t given it enough thought. Richard and Paul conclude their discussion looking at the issue of accountability. If we share a goal, we are more likely to achieve it. Essentially, they say writing down goals is about having a go. Keep it simple: what do I want to achieve and when do I want to achieve it by? Why is it important to write down goals? What is the difference between a goal in your head and goals that are written down? Ricky gets Rob to explain the benefits of writing your goals out. Experts agree the world over that you are more likely to achieve the goals you have written down. In our podcast, Ricky asks Rob why putting your goals to paper could make all the difference? When it comes to a goal in your head compared to a written down goal, the likelihood of you achieving it becomes so much greater because you have greater clarity. In the podcast, Rob explores how a written down goal suddenly becomes much more important to us. By writing it down, we have committed to it: our thoughts have become crystalized resulting in a more meaningful goal. Putting your goals to paper has the knock-on effect that we then hold ourselves to account. Sharing goals has advantages too as someone else gets involved. Rob goes onto discuss how written down goals have other benefits as they can be reviewed easily. The goals can be tested and examined to see if they are still the right thing, still achievable and deliverable. The process enables us to sense check the purpose remains relevant. Then there is the question of memory. Many of us are holding multiple tasks and goals in our heads on any given day. By writing goals down, you can capture them. Ricky goes on to offer some other useful advice. He explains how we can’t rewrite history if the goal is on paper in terms of the original aims. It allows you to be more consistent reducing the chances of drift in terms of timeline, volume or quality. Writing down goals allows us to check there isn’t any duplication in specific areas and has the additional benefit that everyone knows what the organisation is setting out to achieve. Putting goals to paper increases collaboration and commitment in the workplace and can be a bit like an insurance policy; a useful way to minimise risk. Essentially it all comes back to the issue of clarity and it’s fair to say you get much better value in an organisation if goals are written down.